How much is Othman Benjelloun Worth? Othman Benjelloun net worth: Othman Benjelloun is a Moroccan businessman who has a net worth of $2.4 billion. 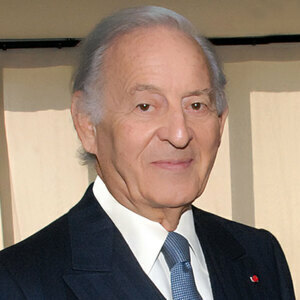 Othman Benjelloun was born to a family that owned a large portion of Moroccan insurance company. Othman took over the firm in 1988. Ever since, he has turned it into a leading insurer RMA Watanya. Then he expanded his insurance business venture into the banking industry. Nowadays, his publicly-traded BMCE Bank has expanded its presence in at least 12 countries in Africa, having purchased the Mali-based Bank of Africa in 2010. The banking aspect of Benjelloun's business career, which is only based on its market capitalization profits, is worth $4 billion. While his holding company FinanceCom holds interests in telecommunications, airlines and information technology. Othman Benjelloun, listed as the richest person in Morocco, is married with two children. His son Kamal, a clean tech enthusiast, is an apparent heir.